Well it's the start of a new school year and things are getting back into gear. We have made a few changes for Teen Power this year and we hope that with these changes we will be able to more effectively minister to the teens of Cincinnati. We've split Teen Power into two sections. So far, unoriginally labeled Teen Power 1 and Teen Power 2. What we're doing is targeting age groups per se, with TP1 focusing on older teens around 15-18 and with TP2 focusing on the younger teens ages 12-15. It's not a age system where teens will graduate into a different program, but simply a new organizational style that will help us focus and develop what we want to happen for the teens. I personally lead the TP1 group and this helps the older group by facilitating maturity and small group discussion. Apathy, poor organization, and unkind treatment of younger teens have been some of the problems for this group. Hopefully with this new system and organization in place we will be able to progress in our ministry. 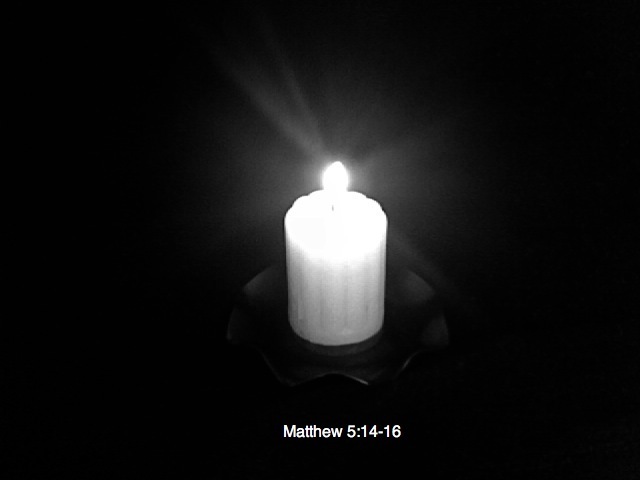 We are reminded as workers in God's kingdom that we do not do this alone. 'Not by might, nor my strength, but by my Spirit.' says the Lord Almighty. In humility (our utter dependence on God) He will sustain us as we do His work. We would be stupid to think that we do this on our own. It would be a waste of time to do this by ourselves. Sometimes we've tried that and failed. God's reminder to me has been this: I cannot do it on my own. I need His strength and grace, so that I can do what He wants me to do. The key is to allow God to work through me, and not do what I want to do, and then ask for God's blessing. 1. Games are to be 12 min halves with running clock. 2. 2 minute half time break. 3. Games are to be played 5 on 5 unless both teams have 4 or less. 4. Teams may play 5 players regardless the other team’s roster. 5. Each player has a maximum limit of 5 fouls. 6. Any excessive arguing with the ref will result in the offending team’s captain to be ejected and a game misconduct. 7. Due to lack of refs, score keepers, etc… games will be played on only one court at a time. 8. Clock will continue to run unless there is under two minutes remaining in the game and the score is within ten. 9. There will be no foul shots unless there are ten team fouls and under two minutes remaining in the game. 10. There is no shot clock. 11. If there is no line 3 pointers will be up to the referee’s discretion. 12. Games must continue to roll quickly and there will only be a two minute break between games for the teams to warm up. 13. Game stats will be kept and players will vote at the close of the year on MVP candidates and the winning team will be given gift cards to the team’s favorite restaurant. What is a one habit that I would like to break this week? What is one thing that I will do extra for God this week? What is my goal for this week? If I were to list one goal off the top of my head, what would I be when I grow up? Is this goal something God would be pleased with? 2. Understand what you read in the Bible or ask someone to help you. 3. Pray and ask God for His help. 4. Be accountable to people your age (like this group). 5. Be careful to remember to take time each day to thank and praise God. Here's the list and some info. More will be posted later! Games should all be 8 min quarters with a running clock and are to be played four on four with substitutions unless both teams have five players a piece. Team orange is made up of mostly players who weren’t sure if they were able to commit full-time playing. Captains, please try to be as consistent as possible because you are the key to making this work. If you can’t be there that night please find a substitution (either from Team Orange or another trusted spiritual leader). Make it fun and creative (team jerseys, dew-rags, etc…) and the best possible time for the teens. Any questions just e-mail me at ribthekid@yahoo.com (Cell: 513 479-7648) or go to the TP blog (everafterdifference.blogspot.com). Teen Power was at the Dayton YMCA Tuesday Night. Thanks to everyone who was there and made it a success by helping out. The important thing is to remember that in youth ministry or in working with teens the key is to build relationships. They only know Christ's love through you. Note: Pictures will be posted as soon as the network will cooperate. Thanks! Note: Prayer Meeting tonight @ 9:00 PM. Also, thanks to Sarah who gave her personal testimony last week in Teen Power! Sarah Williams spoke last week and told about how she grew up in a Christian home but still did things that she knew were wrong. She gave a story about lying to her parents and how God showed her that because of this and other sins that she needed Jesus as her Savior. She also related to the teens the need for a full surrender after God has forgiven them of their sins. Sarah closed by asking the teens if they knew where they would go if they died tonight. It really puts it in perspective when you realize that many teens are walking towards hell, and if we don't intervene they will suffer in that torturous place for eternity. Life is but a breath, don't waste your time. 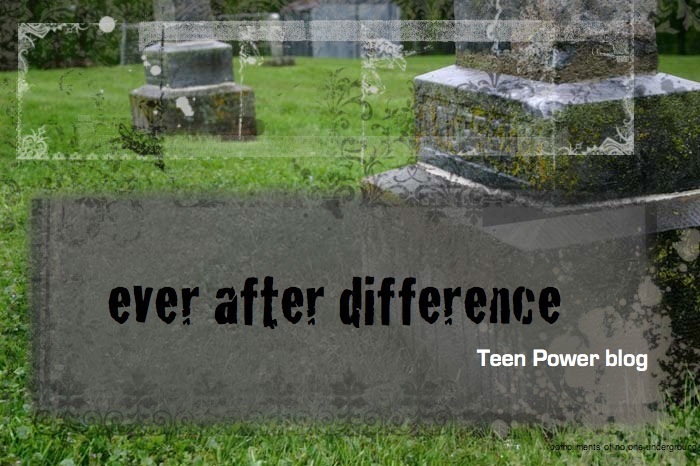 Make sure you are doing whatever you can to make an ever after difference in the life of a teen! PS. Details on an exciting new discipling program coming soon! Hey guys, don't forget prayer meeting tonight @ 9:00! 1. I just wanted to make sure everyone was aware of a little feature on the blog that you can use. Underneath the posts there is a little button labeled: O COMMENTS - If you click on this, a window should pop up allowing you to make comments. You can post your comments using a blogger account, your own name, or you can just do it anonymously, (although it'd be great for you to put your name there somewhere). Feel free to put up prayer requests, make general comments, ask questions, do anything! 2. Thanks to all who showed up for the prayer meeting today at Ezra's. We were talking afterwards and we want to do something for the teens. Basically, Teen Power involves involving ourselves in the teen's lives, and developing personal relationships with them (No matter how close or distant). It's important for us to do this in any ministry especially youth ministry. This also increases their respect of you and makes you more effective. Here's the deal: MAKE IT A POINT TO DO ONE THING WITH ONE TEEN BEFORE THE SCHOOL YEAR IS OVER. You can spend time talking, get them something to eat, play basketball with 'em, just do something! For the record, you guys are awesome. Prayer Meeting Monday Night: 9:00 PM. We are meeting in the Gale Center for just a few minutes to pray. Also, there is a time of prayer and fasting at Ezra Byer's house every Wednesday @ 12:30 PM. It is a brief time of sharing and prayer. We would love for you to join us. Remember that we are in a battle. Prayer is how the job gets done! Tonight's Teen Power included a lesson from Melissa on the Sermon on the Mount. She talked about having a good foundation for your house (your life). In order to have this, you have to be hungering and thirsting after God. We also must be the salt of the earth. Basically, salt adds flavor and we as Christians are to be a different flavor than the world. Are we different? Also she mentioned the ten commandments and how Jesus took them a step further. She ended with an example on prayer from Jesus' sermon: the Lord's Prayer. 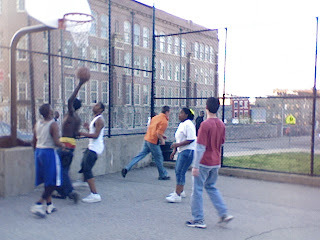 Afterwards we played basketball. Fun stuff tonight! Don't forget Prayer Meeting - Monday nights @9:00 PM!